The bizarre case of Sidney Kilmartin, 56, had been in federal court for four years. 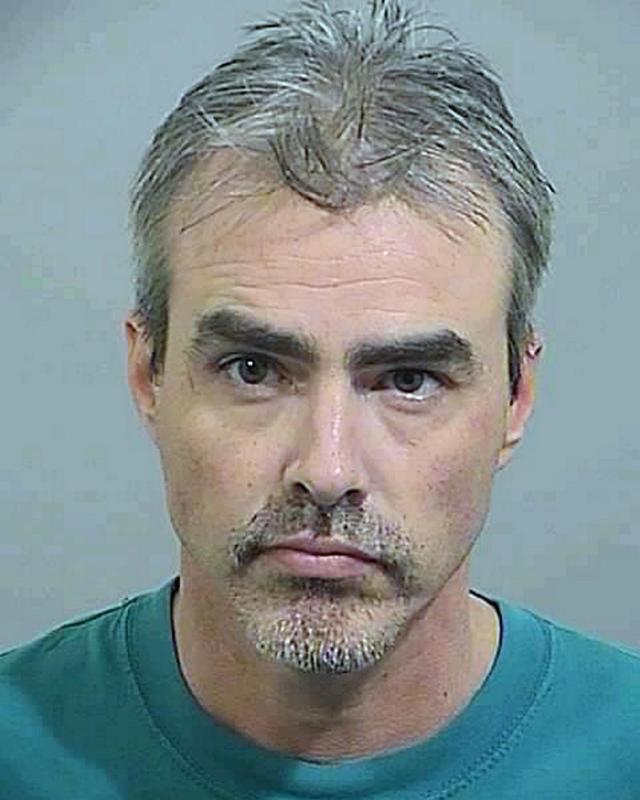 Sidney P. Kilmartin, the former Windham man convicted of sending cyanide to a suicidal Englishman who used the chemical to kill himself, was sentenced Tuesday to 25 years in federal prison. The bizarre case has attracted attention from legal scholars. The most serious charge on which Kilmartin was convicted was a century-old statute, “mailing injurious articles resulting in death.” U.S. District Judge John Woodcock had ruled earlier that Kilmartin could have been sentenced to life in prison under that charge. But on Tuesday, Woodcock said he was troubled by the thought of sending Kilmartin, 56, to prison for that long a term. “Life without any hope is quite a sentence to impose on anyone,” Woodcock said, adding that he has handed down a sentence that harsh only once, and it was mandatory for the crime in that case. Kilmartin has a history of severe mental illness, and in 2012 he joined online chat rooms for people contemplating suicide. In the chat rooms, Kilmartin offered to sell suicidal people cyanide, which he had obtained by posing as a goldsmith. Distribution of cyanide is tightly controlled, but is available to goldsmiths, who use it in etching. But instead of sending cyanide, Kilmartin sent harmless Epsom salts. One “customer,” Andrew Denton of Hull, England, complained after the substance he received from Kilmartin failed to kill him and he reported Kilmartin to the FBI. Kilmartin then agreed to send Denton real cyanide and asked him to clear his computer hard drive of their correspondence. Denton took the substance and died. Prosecutors contend Kilmartin sent the cyanide because he wanted to make sure that Denton didn’t follow up on his complaints to authorities. Tuesday’s 2½-hour hearing at U.S. District Court in Portland was a continuation of a sentencing hearing held April 27, when federal prosecutors and Kilmartin’s lawyer took longer than the time allotted to make their cases on sentencing. The case has been in federal court for more than four years. Woodcock told him that prosecutors, not he, had decided not to seek the death penalty in the case. Kilmartin also showed some combativeness, telling Woodcock “you can’t kill somebody who killed themselves,” countering a key finding in the conviction. Merrill spent substantial time casting doubt on the verdict until Woodcock cut him off and said he needed to focus on factors that were to be considered in sentencing instead of trying to undercut the jury’s verdict. Merrill said he plans to appeal both the verdict and the sentence in the case. E. James Burke, a clinical professor of law at the University of Maine School of Law, said the Kilmartin case has fascinated legal observers and noted the sentence that Woodcock ultimately imposed could have been harsher. He said that Woodcock had ruled earlier that Kilmartin’s act was similar to second-degree murder, meaning a killing without premeditation or caused by the offender’s dangerous conduct. Maine statute doesn’t include a second-degree murder charge, Burke said, but murder in Maine is punishable by 25 years to life. “For causing a death, 25 years in the state of Maine for murder would be the absolute minimum,” Burke said. “It’s indisputably a heavy sentence, but if the judge felt that this is akin to second-degree murder, that’s a heavy crime.” While opting not to impose a life sentence, Woodcock said Kilmartin had preyed on a particularly vulnerable group of people.